If Twitter Music dies and no one is around to hear it, does it make a sound? The day the #Music dies? Just six months after making a big song and dance about the launch, Twitter is 'strongly considering' shutting down its Twitter Music app, according to reports this weekend. 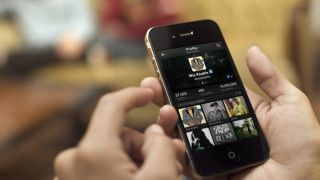 The All Things D blog brings word from Twitter insiders that the social network may hit the mute button on the disappointing trending music portal, as part of a revamp of its music division. The report says Twitter hasn't decided exactly when #Music will meet its maker, but "the app's fate is nearly sealed" according to those sources familiar with the company's thinking. There were high hopes for the platform, which plays single songs through Spotify or previews through iTunes, but numbers have been "abysmal" the sources admitted. The idea behind the app is to direct users to music that's currently trending on Twitter through the #NowPlaying hashtag. There are Superstar, Popular and Emerging categories as well as Unearthed and Hunted categories geared towards music discovery. Users can also listen to charts from their favourite genres. The idea sounded decent in principal, but the inability to play more than one song at a time from the artist and the questionable selections made it difficult for Twitter to tackle the likes of Spotify and Pandora. If Twitter does indeed decide to pull the plug on its experiment, it'll be interesting to see where, if anywhere, the company's music strategy goes from here. Not everyone found Twitter music a turn off, here are a few spirited words in its defence.